Hi, I’m just wondering if there are any active prepping groups around Edmonton? I noticed there hasn’t been a post in awhile. I am seeking to network with other like minded folk in the acreages between Edmonton & Devon. It seems like a long shot, but I will give it a try. Hello, I am looking for like minded preppers in the Edmonton area. I’m not sure if there are any prep groups in this city. 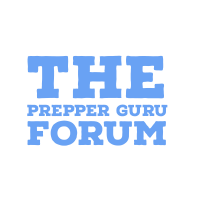 I just wanted to put some feelers out there and find out if I am the only prepper in Edmonton. If you are part of a group or want to start some social networking let me know. I really need to start working on my social network. Need to find partners for a off grid project! I am open and want to talk and meet people! Quebec, Ontario, NB and more. Hi, Im from Montreal. Since years I am thinking of leaving the non-sense life of sleep-work-pay bills and the sick beat of the city. I am ready to move and I have money on the side, and a business that can give me enough freedom to start a “off grid” project, buy a land, of whatever the plan is. I want to meet people with motivation and a way of thinking close to mine. I am quick, I learn fast, I have a lot of life experiences. I have motivation, energy, strength, I don t take drugs or have dependence problem. I am a good hearted and very generous person. I believe in God and have a strong spirituality, but I am not radical, I keep my faith for my self or for the ones who want me to share it with them and I respect the faith of others. I don t even where a cross. I want to meet clean and strong people for a project, not some hippie new agey opportunists, or left radicals. I am ready to meet people anytime. Contact me n.emond @ outlook dot com for more infos or discuss. Another contact: n.emond (at) live dot fr. I speak perfectly french and some spanish. Can t wait to meet new people! I am a North East Edmonton resident with family. I am interested in corresponding and connecting with like minded families / individuals who feel it is IRRESPONSIBLE to not be prepared for sudden events / collapse that we all know can happen. 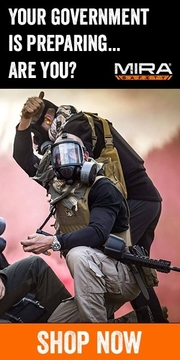 I am interested in creating an Edmonton community that we can count on and gather together if SHTF, with contingency plans for different events, as there is strength in numbers. While I am not a paraniod individual, I do believe that our current culture is unsustainable and while I may not see socioeconomic collapse it in my lifetime ( I’m 45 ) it is likely around the corner for my children and theirs. If you and your family / group is on the prepping path, I would like to correspond and touch base with you to share ideas etc.